A doctor who has specializes in obstetrics recently discussed the three major health risks that are affecting pregnant women around the world. Dr. Kevin Most is the Vice President of Medical Affairs at Central DuPage Hospital. He has practiced for over 20 years as a D.O., and he has been able to practice medicine with all types of patients. One area of study that he has found himself focusing on is obstetric medicine. He has studied the health risks and issues that pregnant women have to deal with across the globe. Recently, Dr. Most discussed the three biggest health risks that affect pregnant women. The health issues include miscarriage, depression, and diabetes. Although many other health issues affect women they need to be aware of these three major issues because these are the most common. Many myths have spread about these three common issues and the myths have made women feel more guilty if they have been diagnosed with a miscarriage, gestational diabetes, or depression. Some of the myths that women have heard about miscarriages is that they lost their baby because they were dealing with too much stress, they lifted something that was way too heavy, or they got into an argument with their partner and that caused a miscarriage. All of these are simply not true. In fact, most miscarriages are undetermined as to why they occurred. One thing is for certain, it is not the woman's fault. Pregnancy depression is a huge problem and a scary epidemic that can follow the woman through the entire pregnancy and develop into postpartum depression if not taken care of appropriately. Depression can affect any woman at any time and it is at no fault of the woman. The change in hormones, extreme stress and anxiety of becoming a mother is very overwhelming and can contribute to depression. 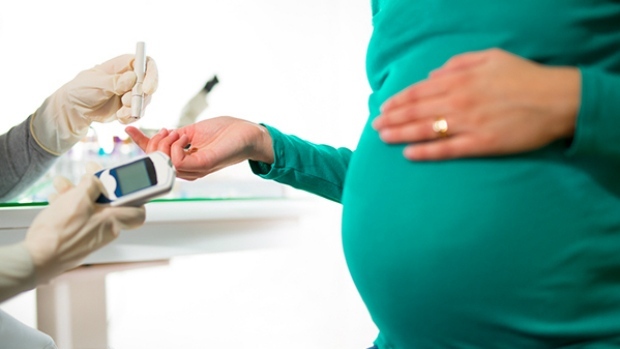 Finally, the third biggest health risk among pregnant women is diabetes. Gestational diabetes is the only health risk out of the three that can be altered by the woman. She can change her diet and increase exercise to help regulate her blood sugars. Women need to know how common miscarriages are and that it is not their fault. Just about 50% of pregnancies end in miscarriages. Most all of those miscarriages are unknown as to why they were not able to go full term. This health issue is difficult, because there is nothing that women can do to avoid having a miscarriage. Even the most healthy women can have one. Going on to the second health issue; women who struggle with depression should definitely speak to their health care provider immediately. Depression in pregnancy can negatively impact the unborn baby and can impact the woman's ability to properly care for her and the baby. Women should not feel ashamed, or embarrassed by admitting that they have depression and go and get help as soon as they can. And then finally, gestational diabetes. Diabetes in pregnancy can be very serious if not treated. Untreated gestational diabetes can lead to the unborn baby becoming too large which bring many other health dangers to the baby. If you are concerned about any of these three issues, speak with your doctor immediately to determine the best course of action for you and your pregnancy.